The Bay of Islands is the birthplace of New Zealand – it has a stunning subtropical coastline and thick dense native forest – including the home of Tane Mahuta – New Zealand’s biggest kauri tree. The Bay of Islands is made up of 144 islands – including the famous Hole in the Rock; you’ll find spectacular swimming beaches, hidden bays and plenty of water activities including diving, snorkelling and big game fishing. 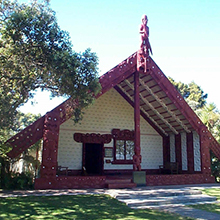 The founding document of New Zealand – the Treaty of Waitangi – was signed in the Bay of Islands and other historic towns, such as Russell and Hokianga, provide an immense history to explore. 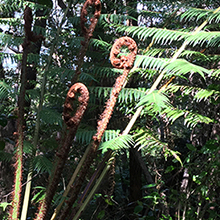 For information on New Zealand day trips in other regions, please click here. Enjoy this 1 Hour Scenic Circuit Tour covering all the highlights of Paihia. You’ll stop at fantastic scenic lookouts, waterfalls and forests. You will enjoy beautiful coastal scenery and learn as you go the lifestyle of locals and why it’s so wonderful to live here. 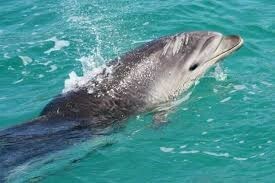 Join our tour to explore these intelligent, playful mammals, and a chance to swim among them. Join our small group tour as we show you the highlights of the Bay of Islands, a region full of history. See waterfalls, some of New Zealand's oldest buildings and try handmade chocolates at Makana. Explore the highlights of the Bay of Islands! 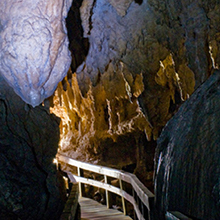 This extended tour adds a visit to the Kawiti glow worm caves. You will also visit historic Kerikeri, Makana chocolate factory, the Stone Store, Waimate Mission Station plus much more. Join our relaxed 2 hour Scenic Forest Tour with photo stops. Hear some of the local history and lifestyle stories. 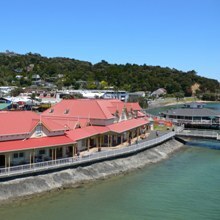 Be wowed at the view from the Waitangi Golf Club looking out to your cruise ship and the beautiful islands of the Bay. Departing the ‘Jewel of the Bay of Islands’ taking time to visit the caves, and on to ‘Train Town’. 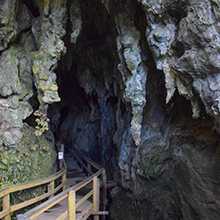 Our tour takes in a guided tour of the Kawiti Glow Worm Caves plus a short drive to arrive at the old coal mining town of Kawakawa, visit the famous Hundertwasser Toilets, and Kings Theatre Art Exhibition.